This is a post i thought i’d never get to make. It almost feels a bit unreal to start typing… It’s not Melodic Magic but it’s not every day that i get to add something as cool and rare as this to my collection of record covers so i’m pretty excited about this. It’s also the third and final part of my trade with Guy Minnebach and i might as well thank you again Guy right away, thanks! Where to start with this… well, as with a lot of other things the coolest looking covers are also among the rarest and most expensive. However i don’t know exactly how rare this is considered to be. I do know that it’s been a loooong time since i’ve seen this album on ebay with a low starting bid and without a reserve price. So in that aspect the market has not been able to have it’s say regarding the price of this recently. In fact, there’s only been one logged sale on ebay in the last year and that closed at around $200. 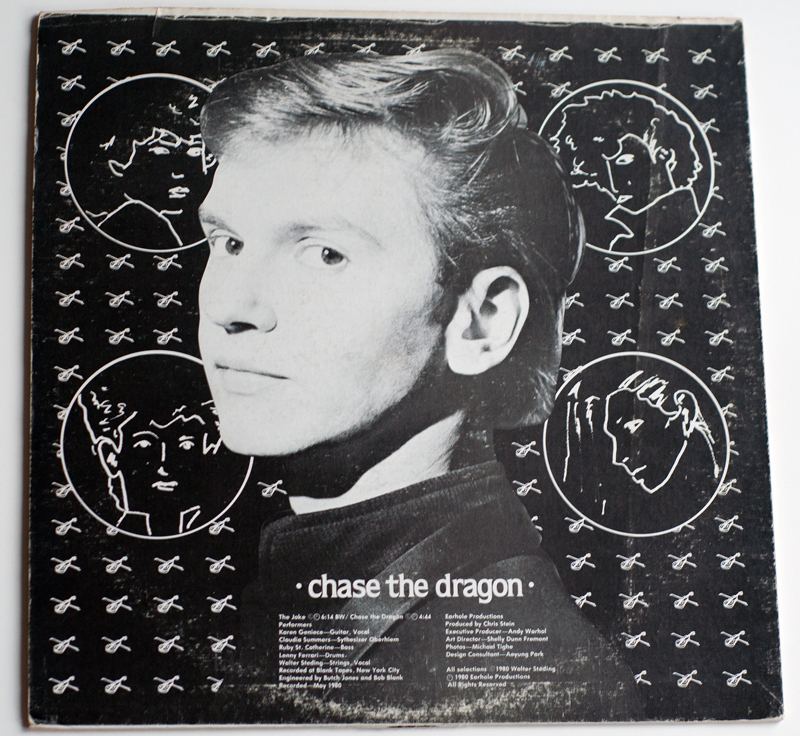 For someone with a thick wallet the record is available at both ebay and discogs, and has been so for quite some time. But with a median price or whatever it’s called of around $500 i would assume this is a record that budget collectors like myself will to have hope, pray and wait on forever and ever… Going back a few years the record has sold for as much as $1000 and in may 2011 it held two places in the top ten of most expensive records sold on discogs that month. 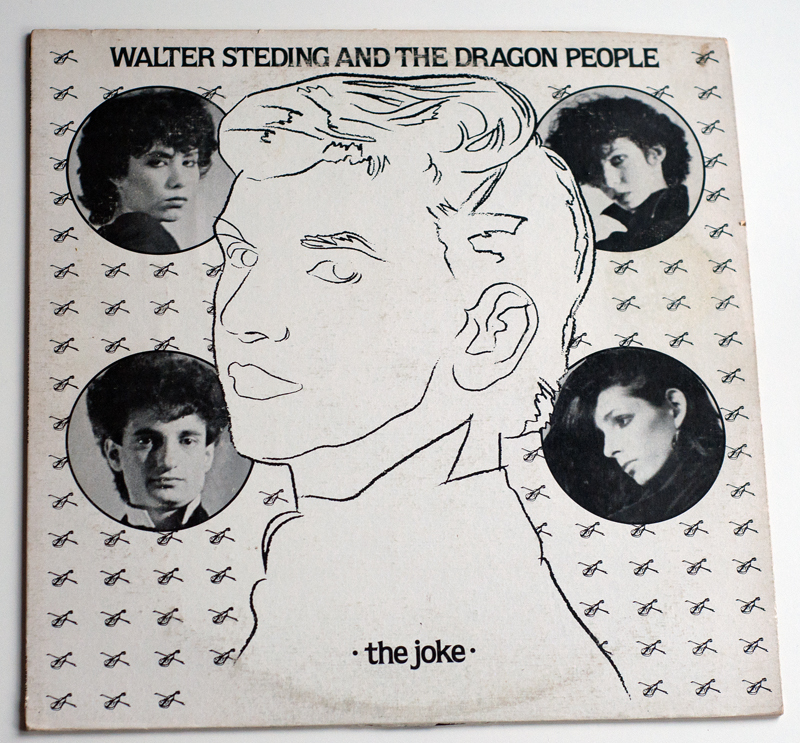 Then sometime in 1980 Steding formed his band The Dragon People and eventually Warhol produced some of Stedings music and released it on his own label called Earhole Productions. And this is in fact the one and only album that was ever released on that label So what about the company? Well, it has not been easy to find anything whatsoever about it’s history. No mention anywhere, nothing at all. This is a little annoying since i’m sure it’s an interesting story behind it and it sure makes me curious as to what the plans and intentions were. And why nothing really came out of it? 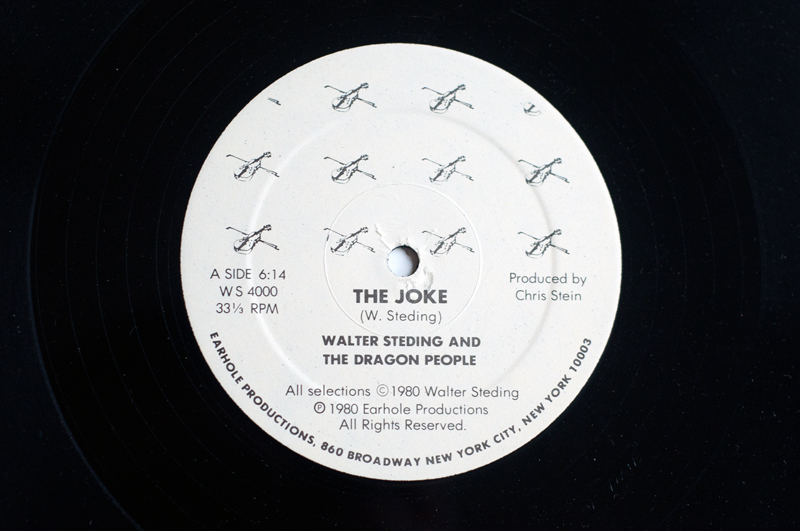 The only thing i have found, and i can’t quite put this all together but here goes… On Walter Stedings site there is a lot of cool stuff. Videos, paintings and so on, even a portrait of Andy Warhol himself. 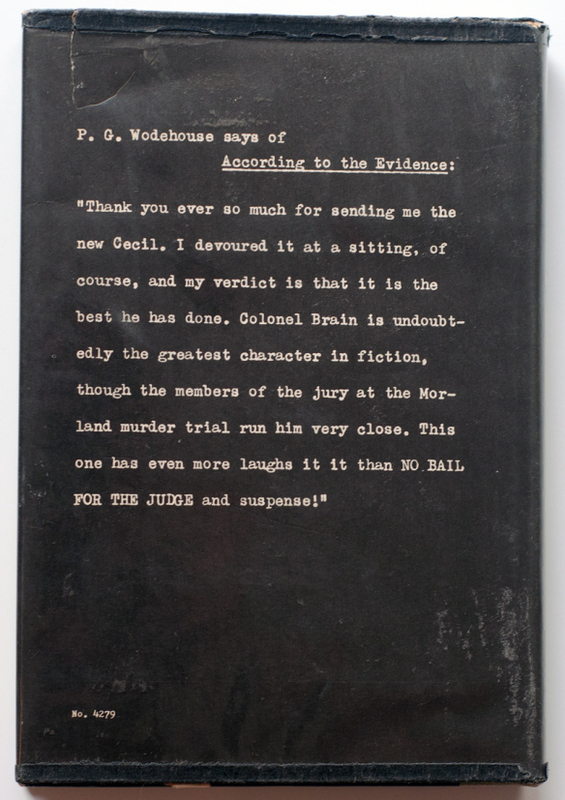 There is also a section of different writings, and one in particular was very interesting. In this one here Steding writes that “On aug. 9 we signed a contract for him to be my manager and to start a record company called Earhol Music…”. But since the single in question was released a couple of years earlier in 1980 i don’t really understand this. Could it have been self released or whatever it’s called under the name Earhole Productions with the intention to eventuelly start a “real” company called Earhol Music? Maybe i’m not making much sense, but this is all pretty intriguing… I’m going to look into these writings more later. 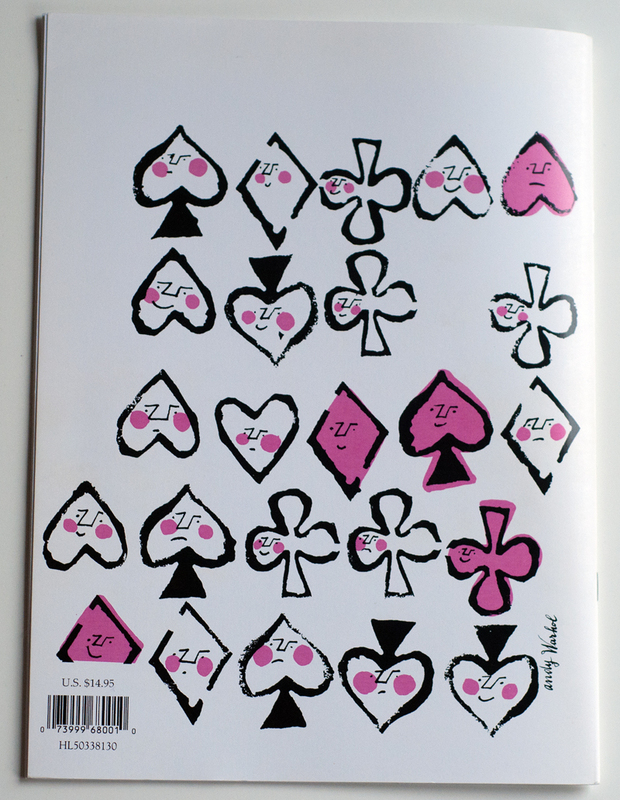 The images of the cover signed by both Warhol and Steding as well as the signed drawing of the head on the front design is also very cool! I’m also curious about the catalogue numer WS 4000, could “WS” be short for Warhol and Steding? Whatever the case, why the 4000? After reading everything i just wrote it felt like a whole lot of nothing… But oh well, at least the writings of Steding was pretty interesting. So what about the cover itself? Well, as i’ve said before i love black and white. So it might not be surprising that this cover is right up at the top in my personal favourites list. I also absolutely love the back/front design idea with a big drawing on the front together with four small photographs and vice versa on the back. And also the idea with the inverted coloring, very cool and clever! Another great thing about this is that you can just flip the cover over when it’s up on the wall and get a totally new look, great stuff! I also didn’t know that violin was Steding’s instrument of choice before starting this post, but now all the small violins on both the front and back cover as well as on the labels make a lot more sense. I can’t say much about the condition either. Even though it does have a couple of smaller issues that can be seen in the images i would never ever complain about anything with this cover. It’s absolutely fantastic and i don’t think i can thank you enough Guy, i’m thrilled to finally have this on my wall! This surely puts a little more “oomph” into my collection, thanks again! This post is long overdue but sometimes real life gets in the way of blogging, but anyways… This is part ½ of my trade with Guy Minnebach and i was neither aware of the “book” nor the fact that he had planned to include it in the deal. So it was quite a pleasant surprise, in more ways than one. Even though it didn’t require a genius to understand that this is a recent reprint (if nothing else the barcode on the back was a dead giveaway) i was quite intrigued by the story of this. As usual i had to piece together bits of information from here and there and along the way it just kept getting more and more interesting. I’m not going to pretend i know anything about opera but i’m going to have to try and get into it a little bit. 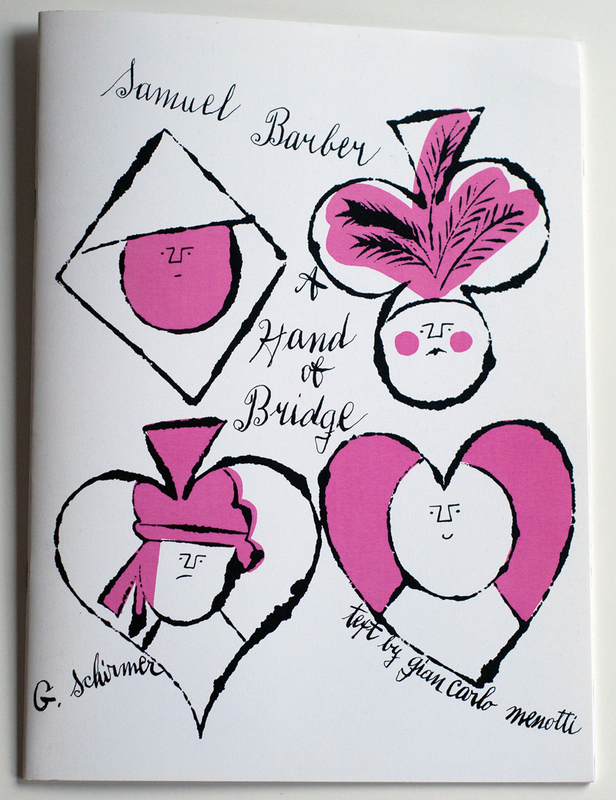 First of this is the musical score to an opera namned A Hand of Bridge by Samuel Barber. A perhaps useless but funny fact is that it is most likely the shortest opera that is regularly performed clocking in at around nine minutes. So i guess you better get there early to make sure there’s not a huge line at bar in case you want a glass of wine before the show… The operas “libretto” (from what i understand from wikipedia this is the text intended to be used in an extended work of music – for example opera) is by a guy named Gian Carlo Menotti. And this is where it starts to get interesting… Guy had told me a little bit about the relationship between Warhol and Gian Carlo Menotti, for example that Warhol also did some drawings of stage decors and costumes for another of Menotti’s operas. I assume this was for an opera called Introductions and Goodbyes, i’ve found an old listing of one of these drawings being sold at Sotheby’s here. Some sites claim that opera was composed by a guy named Lukas Foss at the invitation of Menotti who wanted an additional work for a program of short operas he was planning for his Festival of Two Worlds in Spoleto, Italy. Other sites credit Menotti with the opera so i don’t know what’s up with that. Anyways, the italian festival was founded in 1958 and the US counterpart in 1977, both by Menotti. Apparently the US festival has now come to be recognized as America’s premier performing arts festival. On yet another side note Billy Name who was the archivist at The Factory co-designed the lighting for the festival in 1960. So… time to get to the point before i lose myself in all this opera and festival stuff. It seems focus has also been on inviting young and promising artists to give them a platform on which to perform and it seems that in the early days the festival featured an exhibition by Andy Warhol. I’ve not been able to figure out the details on this which is a bit annoying but what can you do… Warhol might have been featured many times and in many ways but the only thing i could really find something interesting on was from 2011 when Dean Wareham and Britta Phillips were commissioned by the Andy Warhol Museum to compose music for a selection of Warhol’s rarely seen silent-film portraits, his famous Screen Tests. So that’s that… From all this blabbering i’d say it’s a fair guess that Warhol and Menotti crossed paths more than once and for some reason or another Warhol ended up doing the design for this score. The design seems to have changed a bit from the original look as can be seen in this image. Personally i like that preliminary design better but the final result is still pretty cool. I’ve also learned from Guy Minnebach that the original edition printed in 1960(?) had the price of $2,5 printed on the front in Julia Warhola’s handwriting. There is also a later reprint with $6 printed on the front. The recent reprint that i now got is very easy to find on various sites, Sheetmusicplus for example… Seeing the name of the publisher of this – Hal Leonard – also brought back some fond (and expensive) memories of the days before the internet and easily accessible tabulature when i used to buy sheet music for guitar. Anyways, this might not be a perfect fit in my collection of dust jackets but it will definitely find it’s place right next to it among the books in The Best In Children’s Books series and some other various things. Thanks again Guy! Well, maybe not a “boom” per se but at least a small rumble… Ebay has not really been the place for book hunting so far and i think the only books i’ve gotten from there is Three More Novels and Borderline Ballads. I do however keep saved searches for every title i know of just to keep up with what’s going and on and of course on the of chance that one of the books i’m still looking for might show up. And in the last week or two quite a few books have turned up. The first one is for Love is a Pie and that one is not really new, it’s been there on an off for quite a while. The current asking price is $200 and i think it’s been ever higher in the past. Then last week a seller listed both Three More Novels and The Desire and Pursuit of the Whole, both with starting bids at $99. I’m quite happy with both my copies of these books but if the latter of the two should sell for the current bid of $99 i would say that’s a great deal. It’s looks to be in pretty good shape and considering i payed about $50 for my copy that’s a bit beaten up i’d say this would be a much better deal, but however tempted i might be i’ll stay away from it this time. Then yesterday morning i woke up and checked my saved searches and the results for “pistols for two” is usually either the book with the same name by Georgette Heyer or for various holsters or other “gun nut” related items. But this morning i actually got the see the actual book listed. Asking price is a hefty $500 though, so had i not already gotten a hold of a copy i would not have been able to get this one anyways. That wouldn’t have bothered me that much though since this book has some issues with the sticker and everything. It’s a little tricky to make out where it is really but i think it’s on the actual book under the plastic cover. And finally this morning i found a listing for The Grand Mademoiselle, the first time i’ve ever seen this on ebay also. So, for anyone interested in starting collecting these there’s a pretty good opportunity now. At least some of these i’d say have got fair price tags on them and don’t show up all that often. And i don’t have any plans to take any kind of credit for anything or start to get hubris but in the last weeks i’ve been getting a few more hits than usual on my posts about all these books. Of course i don’t know if it’s the sellers that has been checking them out. 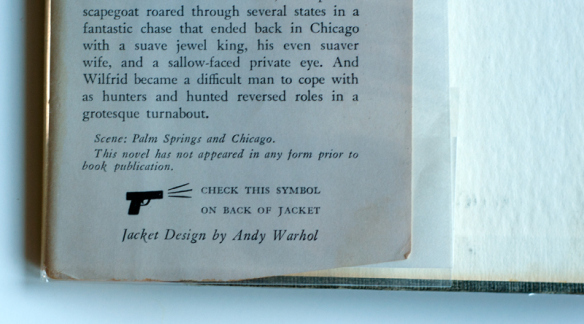 But if this blog in any small way can help raise interest in Warhol’s dust jackets and make them more available that’s a good thing. Exciting times ahead! There’s quite a lot to be told about this book and how i got a hold of it and i don’t really know where to start. But i’ll start with how i first became aware of it. I started my book collection sometime in the early summer of 2013 and based on what little information i could find online i thought there were maybe ten or so dust jackets to be found. I also put up a saved search thing on ebay for “Warhol book cover” or something like that which didn’t result in anything even remotely interesting for the first couple of months. But then finally in the beginning of september i woke up to find this listing for a book that i had never seen or heard of before. 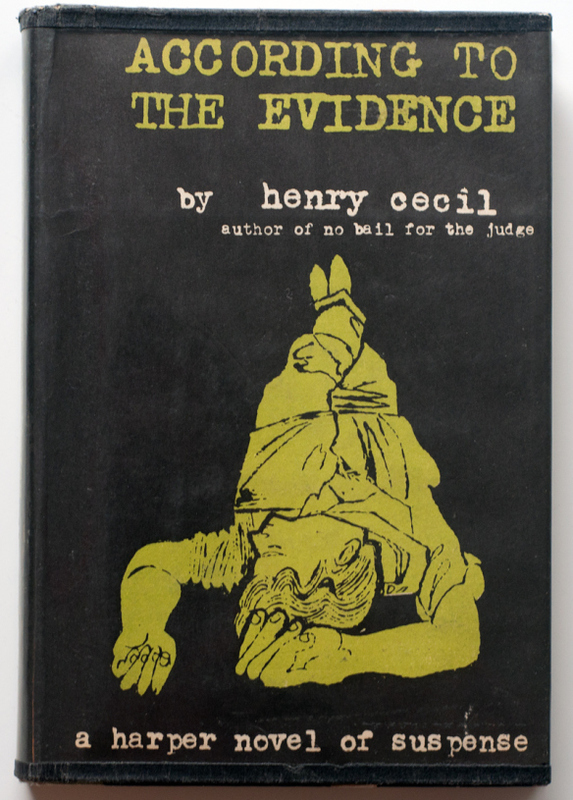 This was of course quite intriguing as i thought that the articles i had found on the subject pretty much covered all known dust jackets, but apparently this was not the case. Anyways, that’s that about how i found out about the books existence and on to what i know about the cover, which besides the obvious isn’t much. 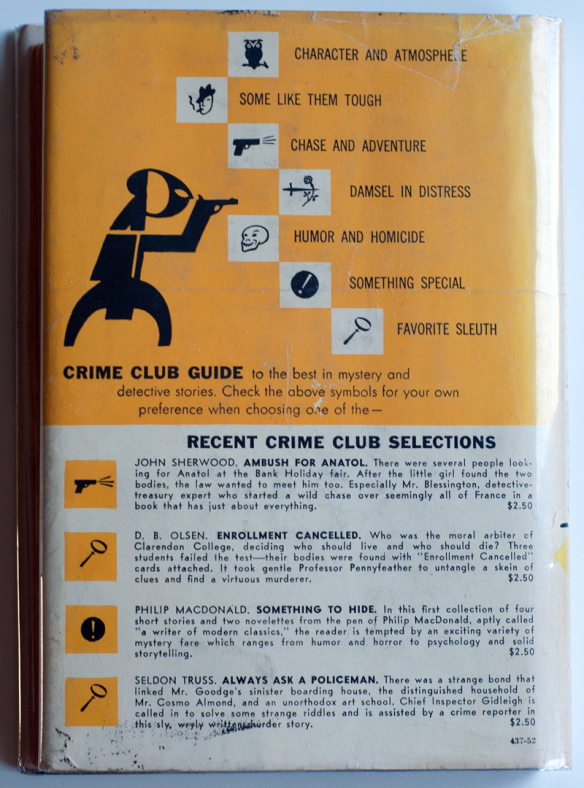 It was published in 1953 by Doubleday and as with The Saint in Europe and Pistols For Two this was part of the Crime Club series. I’ve been able to piece together a little bit more about the design. At the National Gallery of Scottland’s website there are a couple of drawings from a series that Warhol did specifically for this book cover, see images here, here and here. Most of these as well as the design used for the actual cover show the same kind of featureless faces and some also with various namnes of cities, note the misspelling of “Chicago” in the first image where it’s spelled “Chiggo” or something like that. The first two drawings look like, at least to me, somewhat finished designs that would be ready to put on a dust jacket. And i quite like the first one. There has also been a supposed original of one of these drawings on ebay for over $20 000 for a long, long time. And it’s still there now. 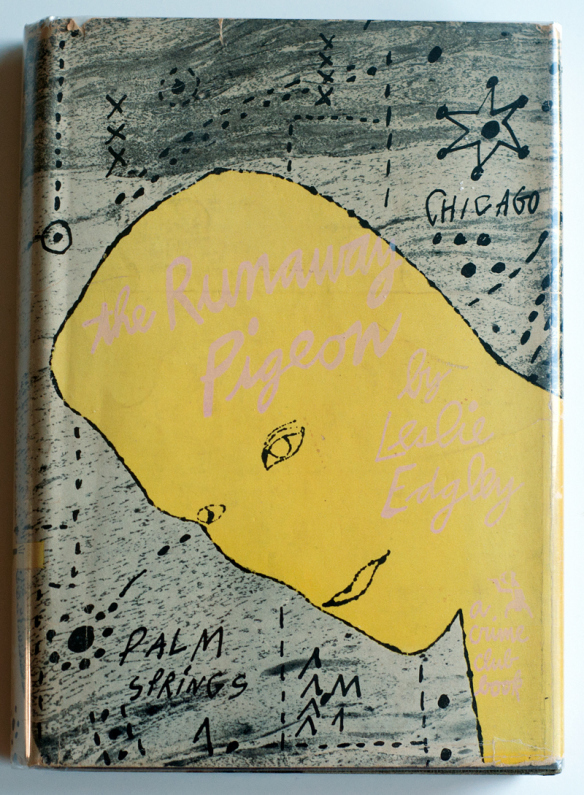 The name “The Runaway Pigeon” was as far as i can tell only used in the US whereas the title “Diamonds Spell Death” was used outside America. I have no further details on the non US edition other than that there’s two listings on Amazon UK. The first one has the publisher as “Barker” and the other one has it as “Arthur Baker”, both published in 1954. I guess one of these might just be a typo and that the publisher is actually the same. I also have no idea what the cover for this other edition looks like, but it would be interesting to find out. So… where did i find this? Well, i didn’t really. It kind of found me. Sometime last autumn after i got a hold of the booklet to On Record: 11 Artists i was offered a trade by Guy Minnebach. I’m not goind to reveal the details just yet since that will spoil what’s to come but as i remember this book was not part of the initial deal. Anyways, even though i was tempted to accept this initial offer i had just gotten my hands on the booklet and felt that i wanted to play around (read: look at it) with it a bit more. It was also the first thing that i had found that the other members of the WCCC had not seen before, with the exception of Guy of course, so for some reason i kind of liked the feeling of just having it around. Then as time went by i started to get a hold of more and more of the dust jackets. This was of course a lot of fun but at the same time it became obvious that a couple, like this one, would prove extremely difficult to find. And as with the record covers i’m trying to do this thing on as tight a budget as possible. I can’t remember when or exactly how things played out really but a couple of months ago or so i think Guy came back to me with a new and improved offer. I still really liked the booklet and i think it’s a really cool item but this time i just couldn’t turn down what i was being offered. So, this is part one of a really great and exciting trilogy of stuff to come… Well, it’s in fact more like 3½ but let’s say it’s three amazing items and ½ that’s a little less heart raising. Thanks so much for this amazing trade Guy, and i was very glad to hear you were also more than happy with it at your end! Finally something about the condition. There’s really not much to say since i think it’s in spectacular shape! Without a doubt one of the best ones in my collection so far. 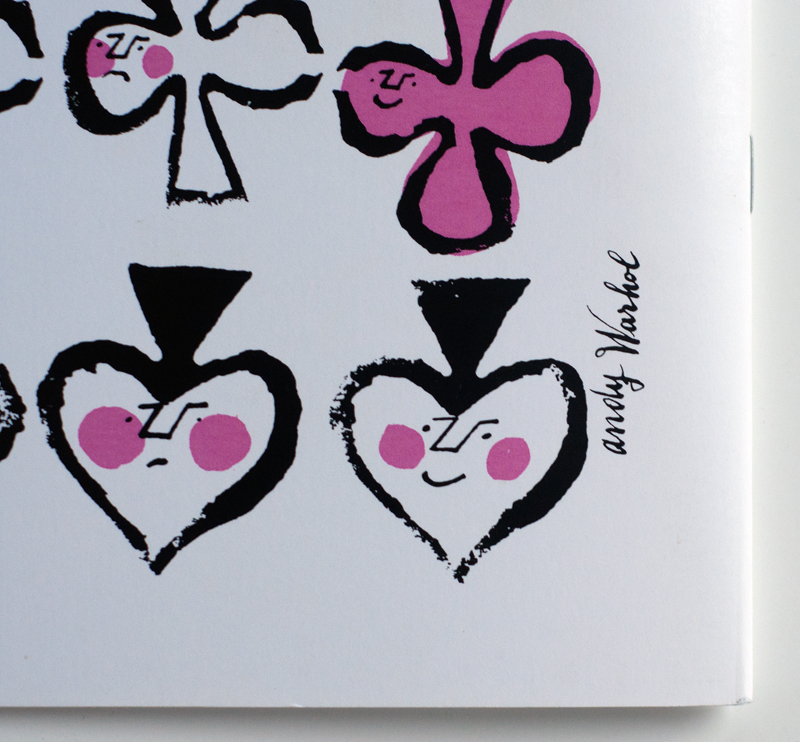 The only thing (and i’m not really sure this even is an issue) is that compared to the images in the old listing on ebay the pink typography on my copy is much brighter. 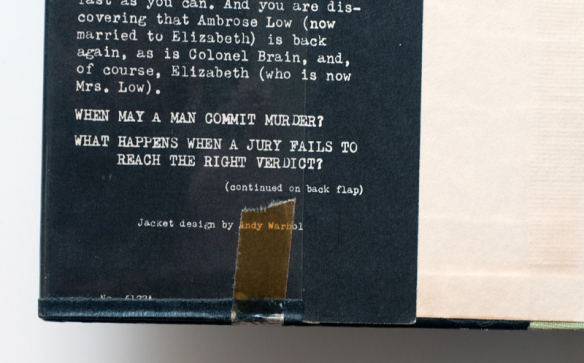 I find it a bit strange that just the text should be faded since the colors on the rest of the jacket are still bright so i don’t really know what to make of it. I did play around a little in Photoshop with my images and it’s an easy thing to brighten the text so maybe that’s what the seller on ebay did to improve the look of his copy. It’s hard to tell since i haven’t seen any other images of this cover online. Whatever the case this is nothing that bothers me at all and i think it’s an amazing looking cover and when it comes to “rareness” i definitely have a new number one in my book collection. Thanks again Guy, love it!